After months of speculation and uncertain release dates, Apple finally dropped its new Photos app on Wednesday 4/8/2015. While a new app is hardly newsworthy, this is a biggie, as it replaces the less-than-popular iPhoto application. Although until today, I had as much information on Photos as anybody else out there that played detective on the Web, but I’m really going to take a look under the hood and figure this out. I’ve had enough complaints about iPhoto, so I see this as a major release in the world of Apple. 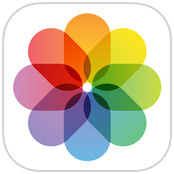 OK, a quick look at Apple’s Photos page shows that there are TWO options to be had; Photos for OS X (a Mac-based version of the Photos App from your iPhone/iPad) and iCloud Photo Library, which is a cloud-based library that syncs to all your connected devices (think Photo Stream on steroids). As for iCloud Photo Library, Apple says “A lifetime’s worth of photos and videos can be stored on the cloud – so you can access your entire collection from your Mac and iOS devices anytime.” This seems to be the direction Apple wants you to go, judging by the amount of copy dedicated to this option on its Website. One plus for Apple’s cloud-based solution; the “Optimize Mac Storage” option avoids the space hog on your hard drive that an iPhoto library carries. Of course, this opens the door for “paying for storage” – according to Apple, “You get 5GB of free storage in iCloud – and as your library grows, you have the option to choose a plan for up to 1TB.” Checking out Apple’s pricing plan should be interesting! Two questions I have with this (both of which should be answered shortly): First of all, is the 5GB of free storage Apple promises the same 5GB storage each iCloud account is issued? If so, then there’s virtually no “free” option, because most users I encounter struggle to stay below that 5GB threshold. To put that 5GB limit in perspective, my personal iPhoto library (±12,000 images) is over 33GB. I routinely work with users whose iPhoto libraries exceed 100GB. Secondly, if you go with the cloud library option, where exactly does the backup (if any) of your photos reside? I’m not paranoid and I know Apple isn’t going anywhere, but in the event of a tech catastrophe at the other end, you don’t want that to be the end of your photo collection. If there isn’t a sanctioned way to make a local backup of all the photos you upload, I’ll come up with a creative solution for this problem. I usually do. To see Apple’s Photos page, click here.